The Police and Crime Commissioner for Greater Manchester (GMPCC) is an elected group for dealing with how crime and community safety is tackled throughout the region. As an important body for dealing with tackling crime, K2L were approached to help promote their new campaign, to raise awareness of the issue of Domestic Abuse and how common it is in today’s society. In order to raise awareness of Domestic Abuse and “reduce the stigma” surrounding it. K2L were tasked with creating a fresh-approach to the subject, one that was engaging to everyone and -although a dark and serious issue- was positive and empowering. As Domestic Abuse is a dark subject, one that people rarely talk about openly, K2L Marketing had to ensure what was created wouldn’t offend anyone, whilst remaining positive, and getting people to talk about the issue. In order to overcome this obstacle, K2L held numerous focus groups with support charities for victims of domestic abuse and received fantastic feedback on the campaign idea. The GMPCC also wanted to create something brand-new that hadn’t been done before, and made use of modern technologies. 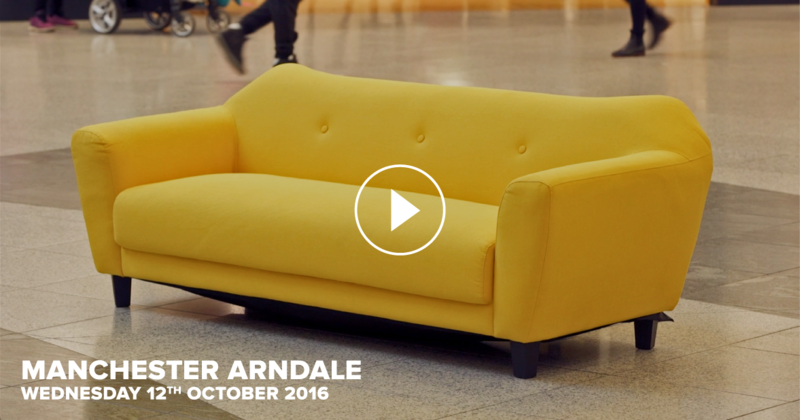 K2L Marketing came up with the idea to take the yellow sofa out to the public and produce a video of people’s reactions to the yellow sofa and the messages that may be commonplace in an abusive relationship and if this was “Sitting Right With You?”. Our key message of “Sitting Right With You?” met the brief on many levels. It let victims know support was there for them, as it as if someone is asking them if it’s part of their relationship. 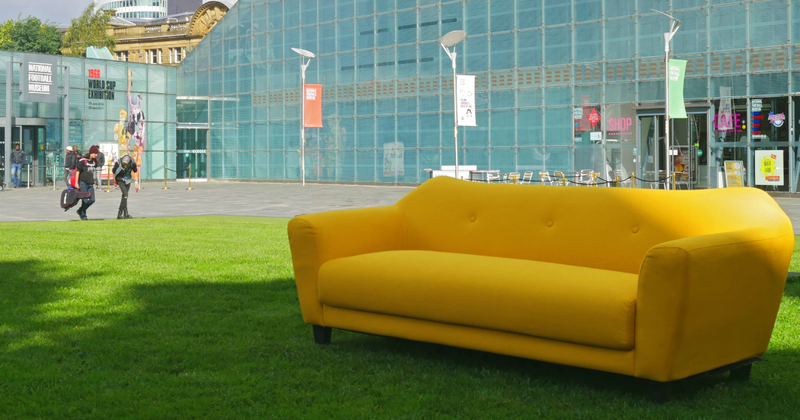 It also encouraged people to ask the question if forms of domestic abuse did “sit right with them?” and finally, encouraged people to “sit down” and talk about the issue. After having the initial concept approved after winning the pitch, K2L set about to plan the strategy to achieve the highest outreach possible across Greater Manchester whilst utilising a variety of marketing channels. 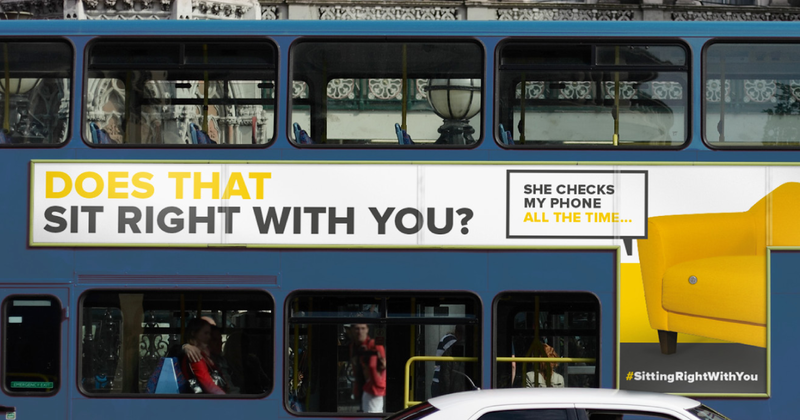 K2L arranged numerous public engagement events across all corners of Greater Manchester, we also created radio advert on Key 103, paid social media, online advertising and outdoor advertising, which included: Bus and Metrolink adverts, to public washroom adverts.